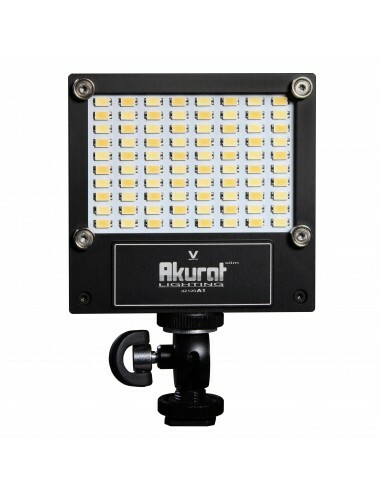 This aluminium light is equipped with two sets of diodes – warm 3200 K and cold 5600 K – and emits a soft light of up to 1300 lm and a high CRI, completely free from the flickering effect. The light is suitable for filming in slow motion at any frame rate. It allows to control light output as well as to adjust colour temperature by mixing daylight and tungsten light. Top-quality components supplied by leading manufacturers of electronics, including dependable IP67 cermet potentiometers, ensure reliable operation and long service life. The device creates a strong and very wide beam of highly luminous soft light. 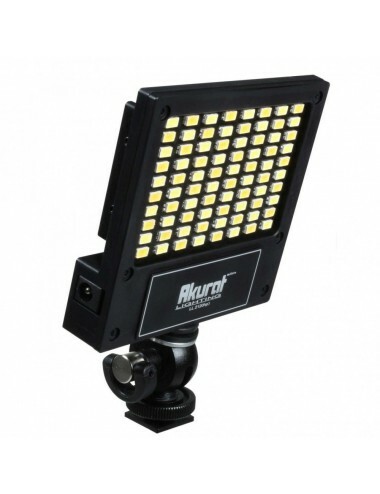 It is ideal for all applications where filming has to take place in the given low-light conditions. A light beam angle of 120 degrees covers the entire frame even when a very wide lens is used. 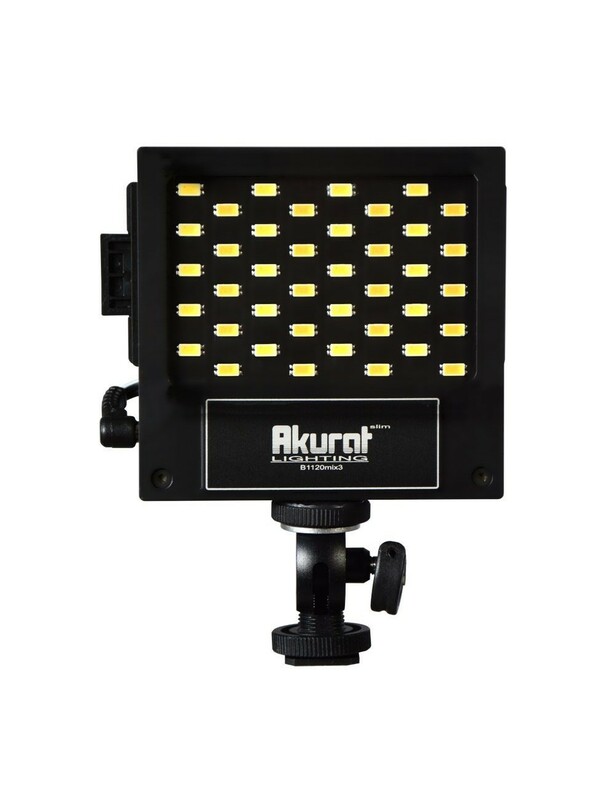 Like all Akurat Lighting lights, MIX3A allows to adjust light output practically without affecting colour temperature. In this model, the LED array is protected from damage by a durable protective pane made from organic glass. A magnetically fixed diffuser gate replacing the pane is also available. MIX3A features an operation mode called MIX, activated upon rotating the mixer knob away from its OFF position. MIX mode operation is signalled by lighting up a red indicator. In that mode, daylight is blended with artificial light, which results in decreasing colour temperature of daylight or increasing colour temperature of artificial light. Mixing ratio can be adjusted steplessly with the mixer knob. When the mixer knob is set to the MAX position, both diode banks operate at the same power level. Adjusting brightness in the MIX mode does not affect the set mixing ratio. The MIX mode is intended for illuminating locations and sets in a creative manner, with light of a non-standard colour temperature. Device durability is provided by a robust body made from anodised aluminium, acting also as a radiator. In the back of the light there is a control panel consisting of a power switch, which is the 3200 K–5600 K balance regulator at the same time, mixer and brightness potentiometers, and a diode for signalling MIX mode operation. Both the switch and the potentiometers are top-quality components supplied by renowned Japanese and European manufacturers, made to IP67 and ensuring long-lasting failure-free performance. All these features make B1120mix3 suitable for use in such harsh conditions as high humidity, very low temperature or dusty environment. The unique functionality of mix3a comes from the ability to power the device with any voltage from 6 up to 20 V. That allows to use both the typical D-Tap sockets found in professional film cameras (14.4 V) and batteries commonly used for powering cameras (7.4 V), gel batteries (6 and 12 V), electrical systems of cars and motorcycles, mains power supplies etc. A wide assortment of camera battery seats allows to use a single type of battery for both the camera and the light.